Hello my name is Miss Smith and I am the teacher in Diamond Class. Miss Sharpe, Mrs Outram, Miss Irvine and Mr Jaehrig. This term our topic is 'Food Glorious Food'. We had a visitor in school this term to deliver a 'History Day'. We learned all about food, kitchens, homes etc. in the past compared to today. We came to school dressed up as people from the past. Do you like our outfits? First, we did some activities around the song 'Food Glorious Food'. We enjoyed watching a video clip of this, as most of us had not seen the movie 'Oliver' before. Then we learned part of the song and put actions to it! We had a lot of fun singing it. After that, we enjoyed drawing pictures relating to the song lyrics; colouring and cutting out images of foods and also playing with some 'glorious food' to make meals much better than gruel! Next, it was our turn to have our workshop with Catherine - who was in character as Astrid, a lady from the Viking times, thousands of years ago. She showed us lots of artefacts that belonged in her home. We looked at them, touched them and drew pictures of them, labelling what material we thought they were made of. We also talked about what we thought each item was used for. Some of them were surprising! At the end, Astrid showed us a game that she played when she wasn't busy in the kitchen. We enjoyed trying to throw wool balls into a wool basket! Finally, we did some activities about homes. We tried to order pictures of houses from the oldest to the newest - this was a lot trickier than we thought it would be! We made pictures of houses out of different 2D shapes that we had cut out. We designed our own dream home and also built houses out of lego. What a fantastic day we all had! We learned a poem called 'The Sound Collector'. Then we learned the story 'Not Now Bernard'. We found footprints in our classroom. Someone - or something - had been in our classroom and made a giant mess! It must have been the monster from 'Not Now Bernard'! Our next text type was Recounts. Just before Halloween, we came to school to find an Enormous Pumpkin in our outdoor area! We found a letter from Farmer Fred telling us about an enormous turnip he had grown and entered into a competition that he won. We learned how to write a recount based on our Harvest Festival assembly, before writing our own recount about something we did during half term. We are currently looking at traditional tales - focusing on the story 'Puss in Boots'! 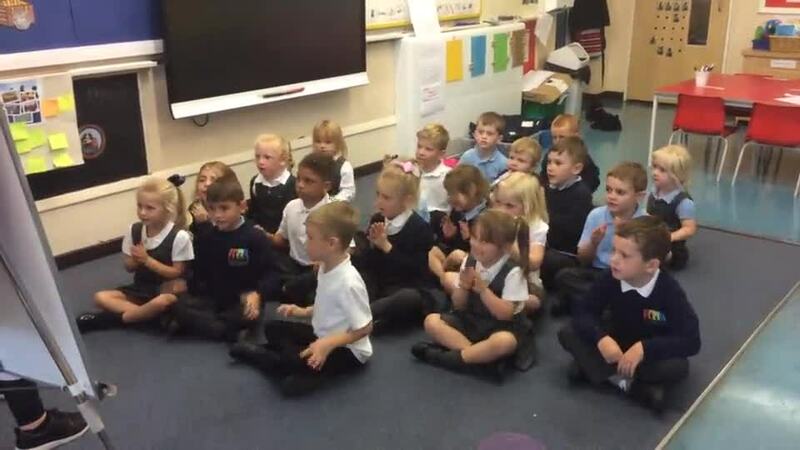 During our 'It's Good to be Different' week, our class decided that we would like to learn some Makaton signs. We started off by learning a few basic signs that would be useful in class, such as: good morning, teacher, toilet, water etc. 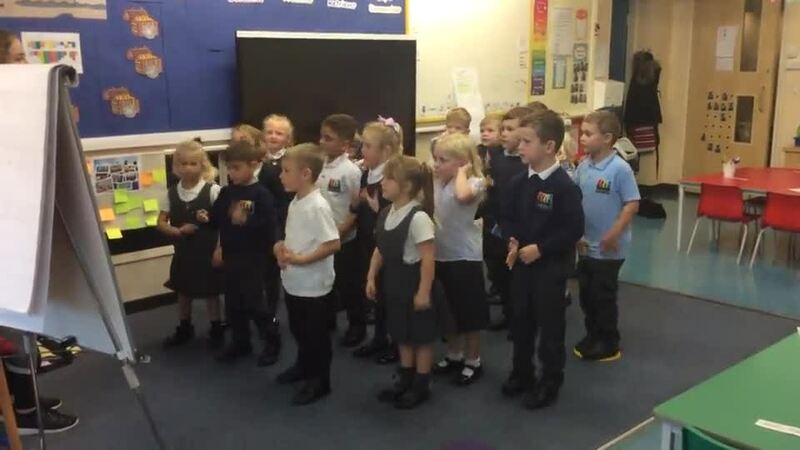 Then we learned part of the song 'You've Got a Friend in Me' from Toy Story in Makaton. We aim to continue our learning by introducing one new sign every day. This way, we will be able to communicate with others, both in and out of school, who use Makaton. We are very proud of how well we are doing so far! See below the documents needed for home learning this half term. Please encourage your child to complete at least 6 of the 10 options and return them, in your child's pink home learning book, on Friday 14th December. Below are a few instructional videos to help you prepare your child for the Year 1 Phonics Check in June. If you need any further information or assistance please let us know.